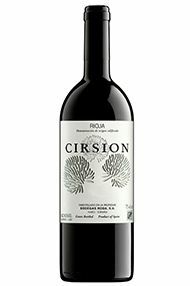 The 2011 Cirsion is unashamedly modern and ripe, with a very exuberant nose where the oak is perfectly integrated with notes of blackberries, plums, dark cherries and damp earth, peat and a core of violets and blueberries. This is a wine from selected bunches with a special ripeness that they consider produces a wine that needs shorter time in barrel (some eight months) and is accessible and released earlier. Exceptionally in 2012, this wine has 5% of Graciano; until now it’s been a pure Tempranillo. There will be no Cirsion in 2013 and they have serious doubts about 2014. 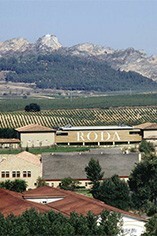 Next year we will taste that 2012, a special wine they produced to celebrate their 25th anniversary. It will be released in June 2015. It actually feels like the wine closes down in the glass. I believe this wine will benefit from a couple of years in bottle and wouldn’t touch it until 2017. This 2011 is a limited cuvée of 6,114 bottles.